Swagbucks 101: Read Up, Learn & Earn Points! Many of you keep asking me — So – What is Swag Bucks? Simply put — Swag Bucks is a search engine that awards you in the form of Swag Bucks (points that can be traded in for prizes.) You can chose from a variety of prizes including gift cards. My favorite is a $5 Amazon.com gift card. It costs 450 Swag Bucks. I max out on this one quickly every single month!!! You get 30 Swag Bucks for joining and can win anywhere from 20 – 50 Swag Bucks a day if you search until you win in the morning and in the evening. I usually win first thing in the morning when I try. You get Swag Codes around 5 times a week — see the black widget at the bottom of my site to check (click on SC). When I find they are out, I try to get them up as soon as I can so you can all get your points! To sign up, go here. Your account will be credited 30 Swag Bucks just for joining! The key is to use Swag Bucks as a replacement for your current search engine. Use it frequently. One tip is to use it to visit websites. The second most popular source of traffic on my blog is via the Swag Bucks search engine because my readers are searching Couponing To Disney in the Swag Bucks search box to visit my website. You can earn bonus Swag Bucks just by browsing the special offers section every day! Look across the top of Swagbucks.com for the Ways to Earn option. Select Special Offers from the drop down box. Click on the blue box that says No Obligation Offers on the right side. Scroll through these offers by clicking skip or next. Once you get through about 3-7 offers it will alert you that you have received today’s bonus Swag Bucks. 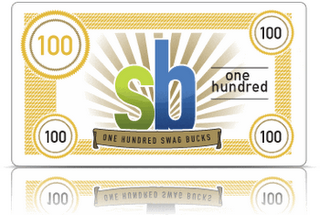 Use the Swag Bucks toolbar everyday and you will earn at least 1 bonus Swag Buck a day! Plus there are often exclusive Swag Codes released on the toolbar. Go to Swagbucks.com and look down the menu on the left side. Click on Toolbars at the bottom of the list. Download and install the Toolbar. Use it to search Swag Bucks, keep track of your earnings and more! Browse through the Special Offers on Wall 1, Wall 2 and Wall 3. Complete any that appeal to you. Swag Codes are bonus codes that you enter in the “Enter Your Swag Code” box on Swagbucks.com’s home page. When I know that there is a Swag Code out, I post a message here on the blog as well as on my Facebook and Twitter pages. Swag Codes can vary in value. The most I have seen is 30 Swagbucks and the least I have seen is 5. But it’s nice to earn a bonus. Twice a month Swagbucks sends out a newsletter. These have a bonus Swag Code in them. To make sure you get the newsletter, you need to go to Swagbucks.com and click on Newsletter on the left side menu. It is almost the last item. Swag Bucks offers you bonus bucks when you go through their website to do your shopping. 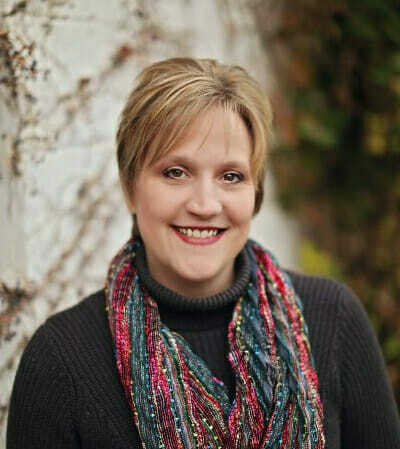 Be sure to read their blog, and become a fan on Facebook and Twitter. They release Swag Codes on these media outlets. Every Friday Swag Bucks offers a higher denomination of Swag Bucks to winners. Instead of the typical 10 – 30, you might win 50, 100 or more! Just by doing the searches you would do on a normal day! If you send them a picture of you with your prize or a video of you unboxing your prize, you get bonus Swag Bucks. You get 10 Swag Bucks for each prize photo and 20 swag Bucks for each video. You are limited to 5 of each type. Email it to prizephoto@swagbucks.com. Swag Bucks will award each user 13 Swag Bucks if you upload a picture of yourself to your account before April 1st. For more details go here. Swag Bucks has an awesome referral program. Refer your friends to Swag Bucks and when they win by searching, you win the same amount! (That means if your friend searches and wins 20 Swag Bucks, you will get 20 Swag Bucks too! You only win from their searches and there is a limit of 1000 Swag Bucks per referral. After they reach 1000 Swag Bucks, you will no longer receive credit.) There is no limit to how many friends you can refer. To find your referral link, go to Swagbucks.com and click on promote and then select Invite Friends and Earn. And the best part… Cashing in for prizes! My absolute favorite prize is the Amazon.com gift card. They offer 3 different denominations ($5, $25 and $50. $5 is the best value, followed by $50 and then $25). You can get 5 of each a month. You are limited to only requesting 2 prizes a day, so to max out on Amazon gift card it takes 7.5 days. On Swagbucks.com home page, click on Rewards. Then click on Rewards and Gift Cards. Look for the Amazon.com gift cards. Select the one you want and click redeem. You will have to verify your purchase via email. Swagbucks says they post the gift cards on the 16th and 30th of the month. But that is not always the case. If the date falls on a weekend or there is a holiday, it will be delayed. When you receive your gift card codes, here is how to add them to your Amazon.com account. Click on Your Account in the top right corner. Look for Gift Cards located in the Payment box. Select this option: Apply a Gift Certificate/Card to Your Account. Enter the code that Swag Bucks gave you for the gift card and click Redeem Now. That gift card is now stored in your account as a balance. You can store as many gift cards as you want, it just adds them to the balance. When you check out, it automatically applies your gift card balance to your order. (You can select for it not to). Here’s an example of how it would work. You select a $50 gift card from Swag Bucks. You receive the gift card and follow the above instructions to add it to your Amazon.com account. You decide to purchase an item that is $30. You go through check out and it applies $30 of your gift card balance. You now have $20 left on your gift card balance. It’s that easy! And that is all folks! If you have any questions or you found another way to earn Swag Bucks, let me know!